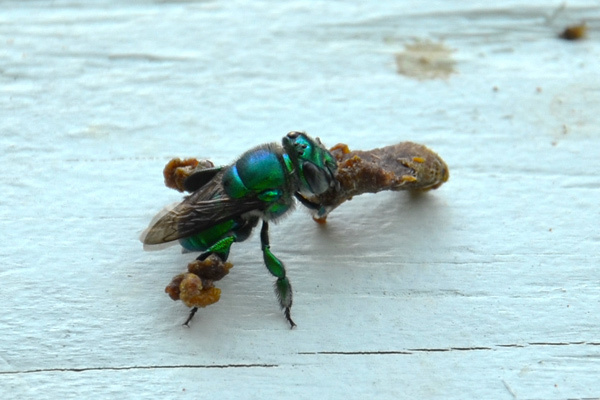 This entry was posted in Other and tagged blue green bee, green orchid bee, orchid bee, propolis. What an amazing bee! It is a lovely idea attracting them with the bees propolis, I am sure they would not like the idea of sharing their propolis with a green bee so I hope they did not know. 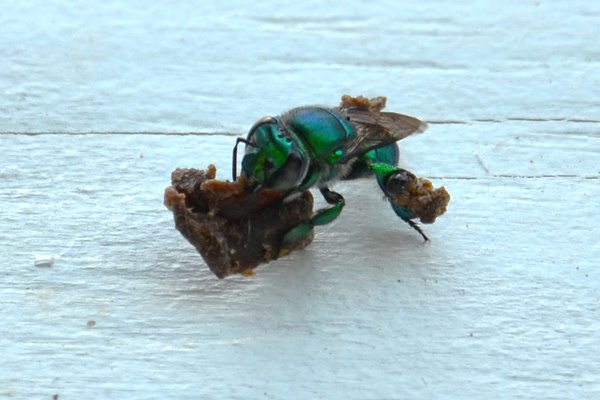 I like the idea of just helping them by providing some extra propolis. 🙂 Some of the honeybees have approached, but they don’t seem to bother each other. 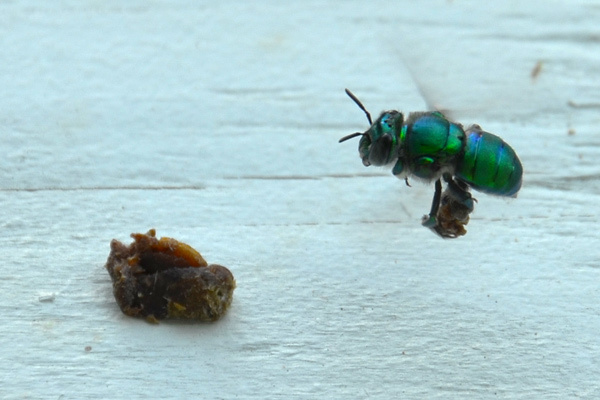 I have really wanted to get a video of bees gathering propolis. I have failed in that effort, so far. Well done and a solitary bee at that. Way to go! Thank you! I’m sure with some time and patience you will get your video. Oh, and having your camera ready at all times helps. 🙂 I’ve missed a few good shots myself by not having my camera ready. Best of luck! 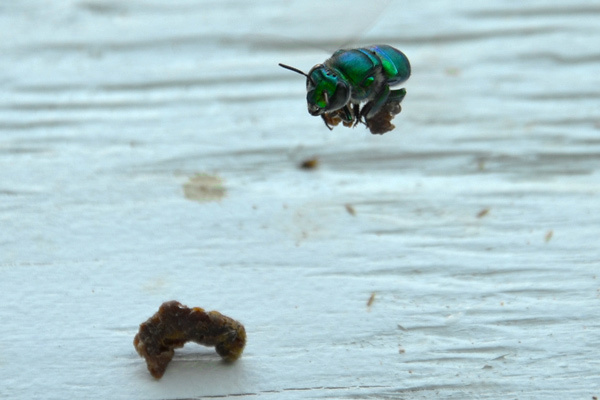 Stunning photos, I’ve not seen photos of solitary bees doing this before. She looks rather weighed down by all that propolis! Thank you. These bees are a bit stocky when compared to honeybees, so it seems that they may be able to carry additional weight. This particular bee had no problems flying away fully loaded. Great photos, I really enjoyed this post.